In this short and beautiful work, St. Louis de Montfort profoundly and elegantly explains the role of Our Lady in the life of all of those who recognize in their hearts the call to holiness that gives rise to the desire for an intense and authentic living of the Christian life. 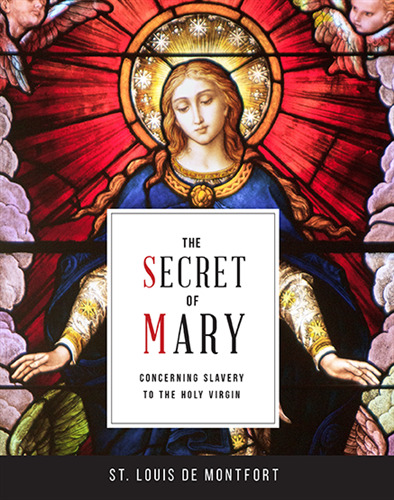 This Revised Edition includes the An Introduction and Overview that is abridged and adapted from the article Secret of Mary by R. Alphonse Bossard, SMM, published in Jesus Living in Mary: A Handbook of Montfort Spirituality. Appendices include Latin and English versions of Ave Maris Stella (Hail, O Star of the Ocean) and Veni Creator (Come, Creator Spirit) and de Montfort's Hymn 77: The Devout Slave of Jesus in Mary. The book has a beautiful new layout with footnotes in the margins for easy reference.